CanalPlus is the company that, with me, owns Escape From New York. They came to me and said, ’Luc Besson ripped you off on Lockout.’ Or Lockdown, whatever the hell that was. And they sent me the movie, and yes, he did. It’s the same story. (Laughs) I mean, you can’t do that, can you? You have to change a couple things. He’s after the president’s daughter? Come on. So I took him to French court. The great thing is, I didn’t have to do anything, really. That’s the kind of the job I’ve always wanted—where you don’t have to show up, and something happens. And we won! But any great dreams of retiring wealthy were shattered because they didn’t give us as much money as CanalPlus wanted. I was especially electrified by the hero, Snake Plissken. Being in the midst of my rebellious period, the antihero “Snake” resonated harmoniously! He was a dark hero that separated himself from the orthodox hero who was either part of some organization, enslaved by the system, or was justice personified. Snake’s words, actions and every move looked so cool. The line “Call me Snake!” became a fad in school. 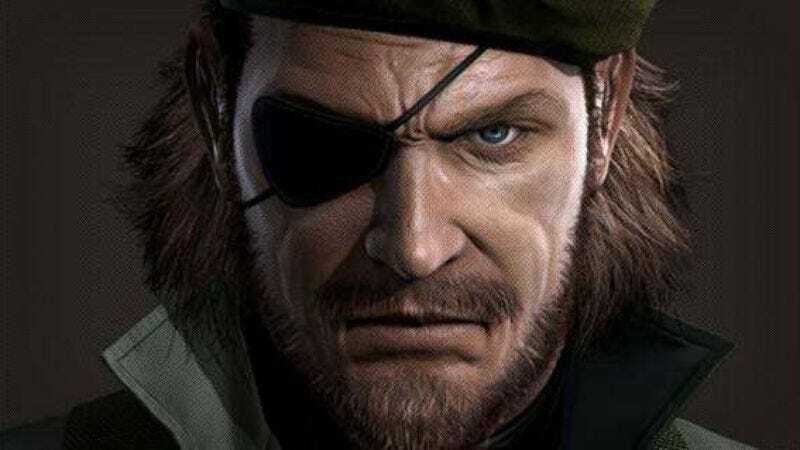 If I used a different name (animal) for Snake in MGS, he probably would have been a totally different character. John Carpenter was our hero in the ’80s. He established the new genre of “Sci-fi horror.” He did not “sell out” to blockbuster films. He pursued his own style of entertainment. He was never sucked into the current of the times. He ran the dark side. Carpenter hasn’t heard from Besson, and, according to the director, “they didn’t give us much money.” But it can be assumed that Besson was not nice to Carpenter. And as we all know, you should just be nice…until it’s time to not be nice.